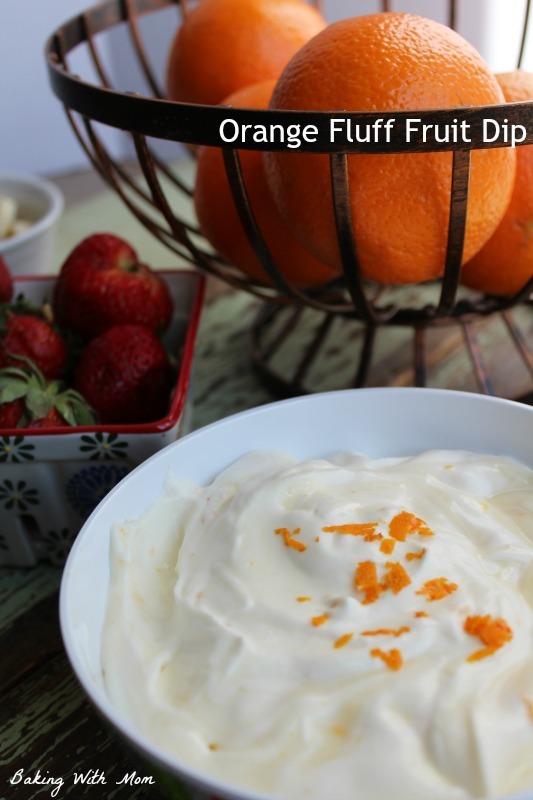 Orange Fluff Fruit Dip is a flavorful dip that tastes like an old fashioned Orange Julius. 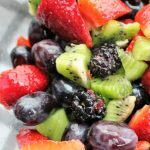 Dip your favorite fruit into this fluffy and flavorful dip. 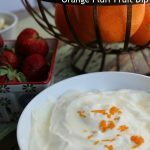 Orange Fluff Fruit Dip is a recipe I wanted to put together for a while now. However, my children, affectionately known as “the vultures” kept drinking the orange juice before I could use it for this recipe. Do you remember yesteryear with the Orange Julius drinks at the mall? We had one right at the entrance of the mall and it always beckoned us to buy one. I have memories of getting them with my family. It was such a great treat. That vanilla orange flavor with chips of ice. Loved it. This dip tastes like an Orange Julius. It really does. When you add fruit to the flavor, it compliments it so well. This dip is only 5 ingredients. 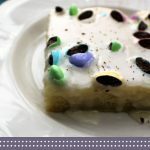 You can use whipped cream in the recipe or you can use whipping cream in the recipe like I did. I had some whipping cream on hand and decided to use that. 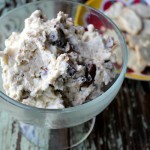 I have to say, I think it added to the fluffy-ness of the fruit dip and it was delicious. Making your own whipping cream is EASY PEASY. Simply take a container of heavy whipping cream and put it into your Kitchen Aid Mixer. Set it on medium speed and watch in amazement as the cream gets whipped into whipped cream. (Hence the name, I suppose!) If you don’t buy any other kitchen product I recommend, please believe me when I say a Kitchen Aid Mixer is a must have. I went without one for YEARS and I finally got one a couple of years ago. It is a beautiful appliance and a must have even if you aren’t a chef. 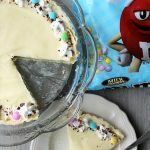 It is great for mixing cake mixes, whipping up frosting, and making whipped cream. This fruit dip recipe also contains orange peel. It was rather funny, when I added the orange peel to the dip, Cade kind of turned up his nose at it. I mean, after all, they know we don’t eat the orange peel. Remember, the orange part of the peel adds such great flavor. Make sure you don’t get the white part of the orange-that is the bitter flavor. You need a good grater for that such as this one. 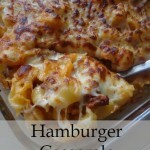 When making this dip, our very picky youngest child, Caleb, was hesitant to try it. I mean, it is new (gasp!). After a spoonful, I have to say, he wanted more and proclaimed: Yum. I figured he would see it my way. This Orange Fluff Fruit Dip will be perfect for guests at a brunch or lunch. It would also be great to take to a potluck or a gathering. 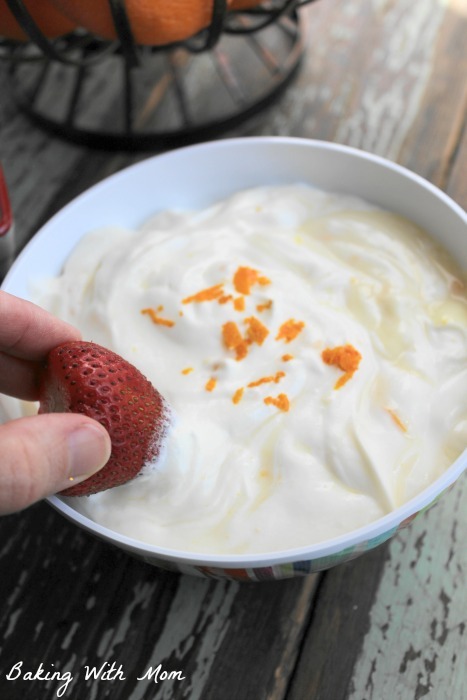 This Orange Fluff Fruit Dip is a sweet dip is a perfect compliment for fruit. I totally remember Orange Juliuses at the mall. Loved them. Have an Orange Julius recipe on my blog too. 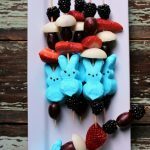 This looks so delicious and refreshing Sarah, and I bet it goes super fast! Do you really? I will have to check it out. It did go fast and it was so easy and delicious!